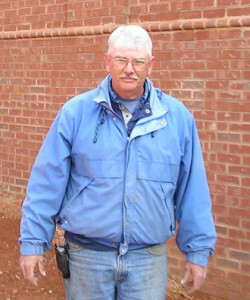 Jesse Joyner | Abrahamse & Company Builders, Inc.
Jesse joined Abrahamse & Company in 2005 after working for seventeen years with Brown, Root, and Kellogg on plant facilities construction contracts with Dupont in Waynesboro. A calm, thorough, and professional supervisor who brings out the best in his crews and subcontractors, Jesse possesses a wealth of commercial and residential construction experience. Phase III of construction at Our Lady of the Angels Monastery, featured on our website, was the first project Jessie supervised for Abrahamse & Company. Its success was largely due to Jesse’s hard work. He is now supervising the monastery’s new chapel which is the fourth and final phase of its construction. In between the phases, Jesse also completed the Cadence addition in Staunton. Jesse and his wife Donna have two sons and two daughters. He has volunteered his time and talents for Building Goodness in Mississippi and has helped with the interior finish at Bethel Baptist Church. He loves to play golf, travel, and keep up with ACC sports.